So, the world didn´t end then. We didn’t have an enormous explosion, earthquakes or tsunamis. Aliens (as far we know anyway) didn’t show up to take us away. It wasn’t the end. But perhaps it was the beginning of another chapter. Life in Mallorca has been getting increasingly difficult for a lot of people that I know my own family included. We are all feeling the effects of the financial crisis and the downturn has a marked affect, not just on our bank balances but on how we interact with each other, and how we treat our nearest and dearest. We´ve seen people moving back to the UK, some with public goodbyes, and some doing the proverbial ´runner´. I am sure for a lot of people it was the sensible thing to do, I just don´t think that I could do it. >But I know how the feeling of not being in control of your life can lead to depression, it can lead to marriages breaking down, families falling apart, and worse. My good friend, my yoga teacher, Kevin and I, and the rest of our class did a little ritual last week as part of our ‘end of term’. Firstly we wrote down on a piece of paper what we would like to get rid of in our lives. (On another piece of paper I wrote what down what I would like to keep or get in my life and I put it away somewhere safe). And then we said a prayer to whoever or whatever we believed in, as it was a yoga class we did a chant to one of the Hindu gods, but I don´t think it matters what you do. Then we lit a candle and burnt the pieces of paper with the things that we wanted to get rid of until they were just dust. (I had to make sure I didn´t accidentally burn the one I wanted to keep!) We didn’t tell each other what was on the paper just kept it to ourselves. I didn´t think much more of it, but I watched to see if things would start to change in my life. The very next day I had a windfall, I got a new client AND I got paid in advance for something else. Sssh, I´m not saying what was on my piece of paper. But it´s working. Slowly. I know, it might be superstition but by setting an intention you cannot deny that you do focus on clearing your obstacles and getting to where you want to be. So there is my suggestion for the new cycle, the new year. Set your goals, make your wishes, and then keep heading for them, step by step every day. Do the ritual if you like, write your lists, make your vision boards, whatever works for you. Just don´t give up. Don´t stop trying. Here´s to 2013, and to renewal. I hope your wishes are realised. In our house we are anxiously awaiting the arrival of a fat man in a red suit. I say we, well you know what I mean. La Gidg still firmly believes in the fella which is just as well as no one wants to be caught out as a liar do they? And that is what we do as parents, we lie to our children about some benevolent guy who gives them presents if they have been good. I´ve got to say if I take it apart too much I start to upset myself. Life isn´t like that is it? It´s not always the good people that get rewarded. I´ve been switching off the news a lot recently, I just can´t bear to watch what has happened in China and Connecticut, in Syria and Pakistan. There are plenty of parents around the world who won´t be able to celebrate Christmas with their little ones, plenty who probably don´t want to even mention the word. So, to shake off my doom and gloom and try to get into the swing of things I went to a clever website called: http://www.portablenorthpole.com where you can get a free and customised video for your child from Father Christmas. You visit the site and type in a few details like your child´s name and their age and if they have been naughty or nice and a video is prepared for you which is a ´personal´ message from Santa where they talk directly to your little one. It was a lovely surprise for her and it brought a tear to my eye to watch my daughter’s face as she watched Santa telling her that she had been good enough to make it onto the Nice List. (Although I already knew that). There was a moment when I almost spilt the Father Christmas beans though when La Gidg enquired as to what I may have got her for Christmas this year and then complained that ‘only’ Father Christmas had got her presents last year. There followed a stony silence from me and a raised eyebrow whilst I tried desperately to think of a response. “Well then where was MY present from you?”. Touché. There has been some feverish and secretive colouring in going on so perhaps I will be presented with something come Christmas Day as well. But truly Christmas gifts aren´t material things are they, they are precious things which we can only hold in our hearts, and that is what we have to try to remember as the world changes and turns in such violent and unexpected ways. 8 out of 10 cats. . .
Have you noticed that there has been a cat food shortage in Mallorca? I went to Lidls and two different Eroskis last week on a mission to stock up on tinned cat food and there was none of the bog standard cheapo cat chow that we would normally buy. There was only the stuff with the snotty nosed but deliciously fluffy pedigree cats on the front of the tin. You know the cat food that single ladies like to feed their cats which is three times the cost of the normal stuff? So I bought some dog food. That was a bad idea as it turned out. What can be in the dog food recipe that is so repellent to cats? Surely it´s just the same stuff just bigger chunks? Apparently not according to four very irritated tail swishes and a dedicated campaign of intermittent sulking. I asked the staff at the supermarkets about the apparent Cold War style sweeping of the shelves of cat food, but none of them seemed to find it as funny or weird as I did. In a seemingly unrelated event, we hosted “CurryOff” at our house last weekend. The idea is this: get our friends to come to a party but also get them to cook the food. Simple, yet cunning. It followed on from the inaugural “Off” which was last month and featured soup. It´s lovely to share an afternoon with your friends and these days it´s a prerequisite that it also be within a seriously tight budget. My husband and I love to cook for our friends and have them over for dinner, but it´s quite easy to spend a lot on a decent roast once you have a good cut of meat and all the bits. So we had to find a way to make entertaining cheaper but still make it, well, entertaining. Now we have I think hit on a winning formula: decide on a theme (soup, curry, pie, stew, etc) and announce the date for the “Off”. Invite interesting and lovely friends. Ask friends to bring a dish. Provide the accompaniments for whichever dish you decide on. Soup was easy, we just bought a load of bread. Curry was a bit more complicated: yoghurt and mint raita, poppadoms, lime pickle, samosas, pilau rice were all provided. The guests arrive with their pans and the dishes are heated and served. Each dish has a number. At the end of the meal everyone votes for their favourite, and the winner is presented with a trophy. The “SoupOff” trophy was The Golden Ladle, and for the “CurryOff” we presented (I kid you not) the Glitter Toilet Roll. The best bit of the event though is the amount of pride and love that everyone shows in preparing their dish, and the banter that goes along with it. I highly recommend you try it. Next month will see “PieOff” (savoury and sweet), we shall be providing the mash, peas, beans, gravy and custard. Hopefully the cat food stocks in the shops won´t drop on the same week or I may start to get suspicious. Last week was a week of competitions, not only did we have “CurryOff” but my blog www.familymattersmallorca.com came second in the Expat Blog Awards. Thank you to everyone who voted, it was very inspiring to receive so much support. With all this business about competitions and blogs I have had a look back over the last four years of blogging, and found an old blog post. It explains a lot, so if you are wondering what I am on about, click on the link please. Wow, how did it get to be December? That snuck up on me! This is the season of Christmas markets in Mallorca and we´ve got some nice ones coming up. Already last Sunday La Gidg spent the afternoon helping out on the cake stall run by her Synchronised Swimming team at the Andratx Christmas Market. She loved it, well what´s not to love really? It´s cake and it´s playing shop. A perfect combination. There was a time when I used to have a little salon and I loved playing shop too, I loved arranging the products and talking to my customers. It was a very innocent period in my life, looking back. Things were very much simpler then, there was a purity about it. You want this thing that I have? You pay me, you can have this thing. Easy peasy. There is a dangerous side to fairs though. You always run the risk of buying something that you love at the time, but then regret instantly afterwards, but you can´t take it back can you? NO. You can´t, it’s far too embarrassing. And we must make sure that we support our local businesses and craftspeople especially at Christmas. Please don´t buy online, get down the high street and buy something from an actual real life person and not some automated computer. Keep the money moving in your local economy and look after the people in your community, it´s vital. I imagine that selling on a market could be a hard way to make your living, but I bet it´s fun. I could see myself as a chirpy cockney type selling discount ladies underwear, or perhaps I could be a mysterious Arab with fine spices and exotic silks. As it is, I am writing this from bed, It is too cold in my house to be anywhere else but here. If I am such a wuss that I can´t deal with a bit of cold in my own home how do we think I would manage rising at 5am and setting up a market stall? Yep, disaster. Which is why the “Last Minute Handmade Christmas Market” which I am organising at Mood Beach for December 22 and 23 will start at 11am and finish at 4pm, a healthy time during the day. If you want to have a stall then please get in touch at Vicki@moodbeach.com. Also coming up there is the Calvia Christmas fair which is not in Portals anymore, but has moved to Santa Ponsa, that is on December 9th and will feature the choir in their debut performance! (They´re also going to perform on the 22nd at Mood). Then there is one at Santa Ponsa Country Club the next weekend on the 15th and 16th of December, and the same weekend sees the return of the Alaro Christmas Market as well. Family Matters Mallorca is in a competition! 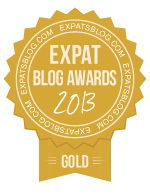 We´re competing in the Expat Blog Awards. (Eeek). You can vote for this blog (please, that would be nice) by clicking here http://www.expatsblog.com/blogs/850/family-matters-mallorca and leaving a comment and giving this blog your rating. So far we´ve recieved a lot of votes which has been terrific, so if you want to add your name to the list, please do! The competition closes at 9am on Thursday December 6th so please if you can, pop over and vote as soon as you can.